Formoid is a free desktop app that helps you easily create templates website, css forms, css form, email form and more in a few seconds without writing a single line of code. 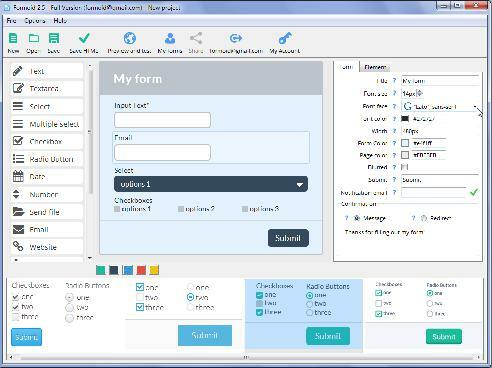 Create stunning online forms in just a few clicks. I like the whole idea. It's very easy to create the form. •I saved the form I designed as a .formoid file. When I double-clicked the file, it didn't know to use the Formoid jquery form validation app to open it. I didn't incorporate any file downloading in my test form, yet the css attributes were included in the style.css file. Oct 28, 2013 Jquery form validation plugin for "Contact Us"
I am testing your FORMOID software and have a question. Love the concept of formoid!